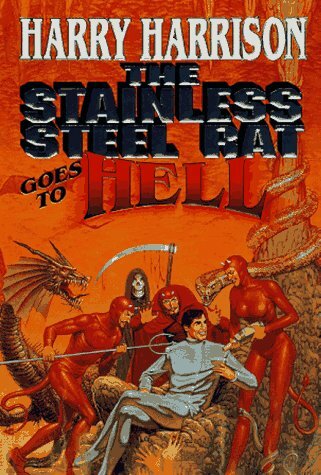 Slippery Jim diGriz , alias the Stainless Steel Rat, the galaxy"s greatest thief and con artist, returns in his most devilish caper yet. DiGriz is strenuously fighting boredom on a ritzy pleasure planet when his beloved wife disappears while vising the Temple of Eternal Truth, an enigmatic institution that promises its patrons a sneak peek at Heaven--for a price. Determined to get his wife back, diGriz takes on the Temple. He thinks he"s ready for anything, but he never expects to find himself banished to Hell, complete with pointy-tailed devils. Has Divine judgement caught up with the Rat at last? Of course not.